Everything was perfect. Only the shower was at 2nd time using not working properly in my room 611. both showerheads were on and you couldnt turn ONE off. Maybe technician gonna check on this. Excellent, lovely room and very helpful staff. We visited Bratislava for our wedding anniversary. We found this hotel to be in a good location very close to bus and train station. Reception was friendly and efficient. Room was comfortable and clean. The room was very warm and we were unable to alter the temperature by the control so had to just open windows. The mini bar was extremely expensive as was the bar prices compared to the local shops and bars (maybe this was why we didn’t see any one in the hotel bar). The room maid walked in without knocking at 9am which was unacceptable. Bizarre window in the bathroom allowing full view of any one using facilities. Somewhere comfortable after a flight from England. The stay was ok, but there were something wrong with the sink in Our room. The water did not dissapear. We told the reception but it was not fixed. Everything is smooth and seamless from entering the hotel until returning to collect your bags. Great staff and great experience. 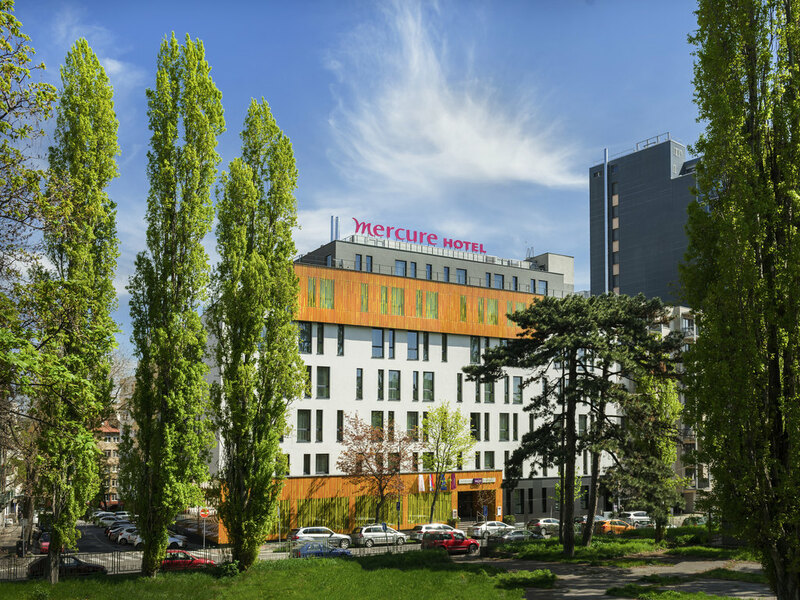 We stayed at the Bratislava Mercury for a weekend city break. The rooms were excellent, the food was perfect and the staff were lovely. They helped us with travel details and were attentive at all times. We will be returning. From the welcome to the check out, everything was very professional and pleasant. I have stayed in this hotel many times and as always it is clean, comfortable and friendly helpful staff. Also great seeing the small tweaks and improvements the hotel tries to offer. Friendly message in the elevator for the morning, etc. Rooms: clean, very comfortable bed, enough space to also work during the stay. All staff: very kind, helpfull and good in english! restaurant/bar: the food was outstanding and the service likewise. the hotel was choosen by our Slovakian partner for the 4 day meeting and training we had with international partners. the services delivered during the training were very good both on technical issues as in food and drinks. the fact the hotel pays attention to child trafficking/abuse particularly caught my eye and I compliment the hotel with their policy.